We are already reminiscing the festival vibe of Ganesh Utsav 2016. The preps, food, guests, decor, flowers, prayers, chanting aarti and modaks; everything about Ganesh Utsav is mesmerizing. Of Course, I am not talking about 'Sarvajanik Ganesh Utsavs'. Lately we foresee that maybe...Bal Gangadhar Tilak ,who started this festival galore in the first place, will take a rebirth to stop this chaos....'maybe'. Well having said that let us take you to a temple of Lord Ganesh which is far off from all chaos and located amidst tranquillity. 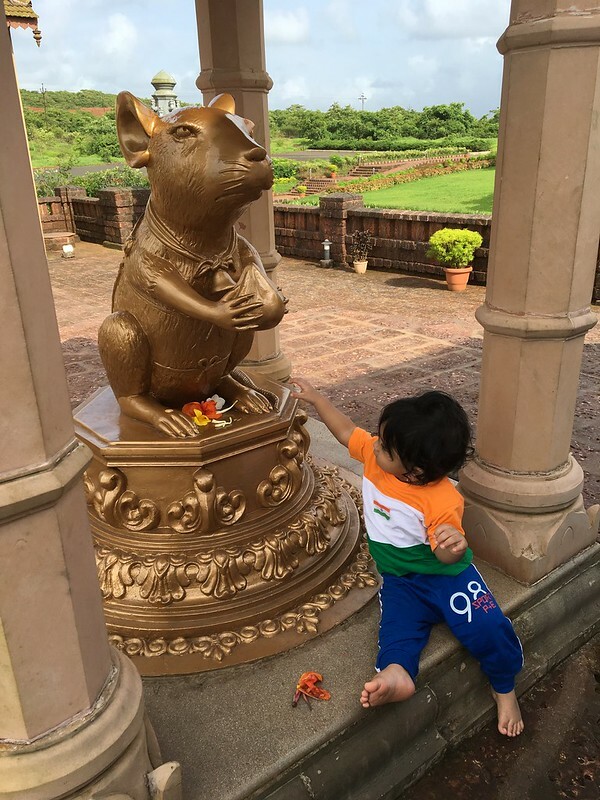 We take you to Jai Vinayak Mandir located at Jaigad, Ratnagiri. 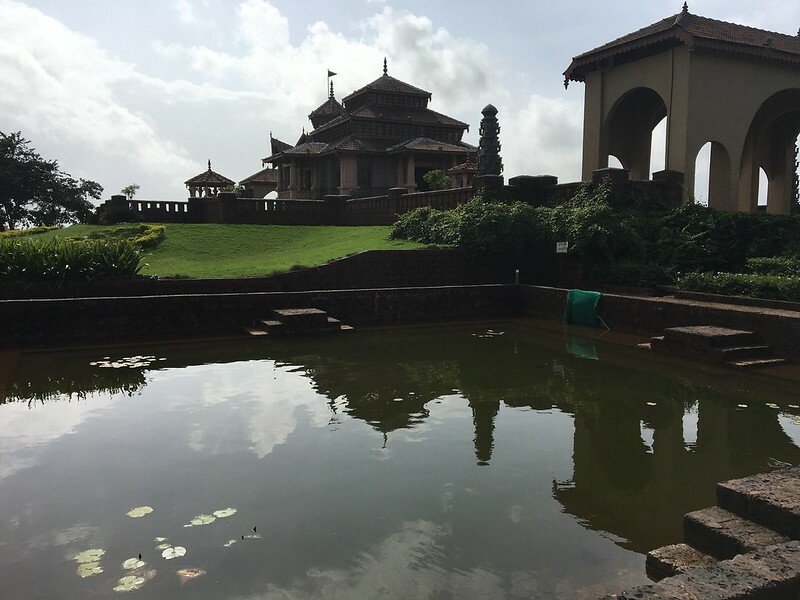 Close to Ganapatipule this worship place is a must see not just for religious beliefs but for its architecture, structured garden and serenity. 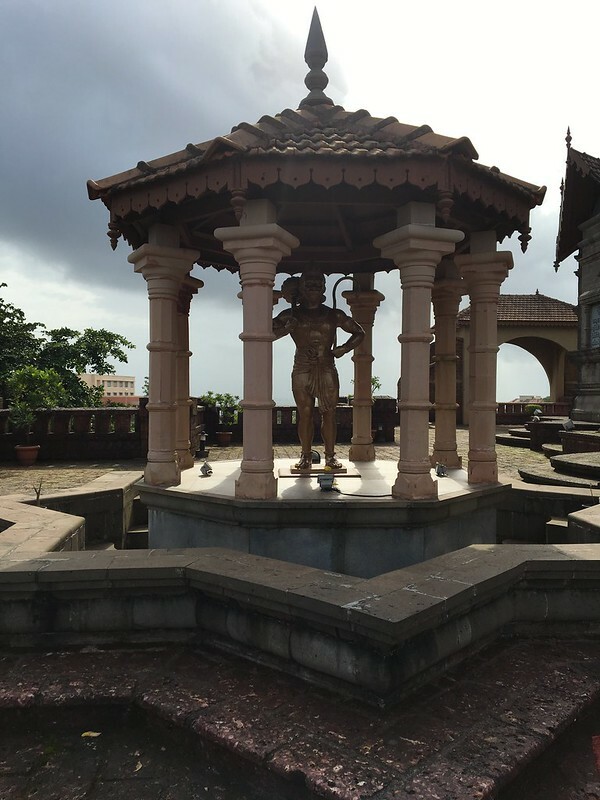 Jai Vinayak Mandir is a Ganesh Temple located approximately 19 kms away from Ganpatipule Ganesh temple. You will travel parallel to the beautiful Malgund Beach in order to reach this location which is at Jaigad. 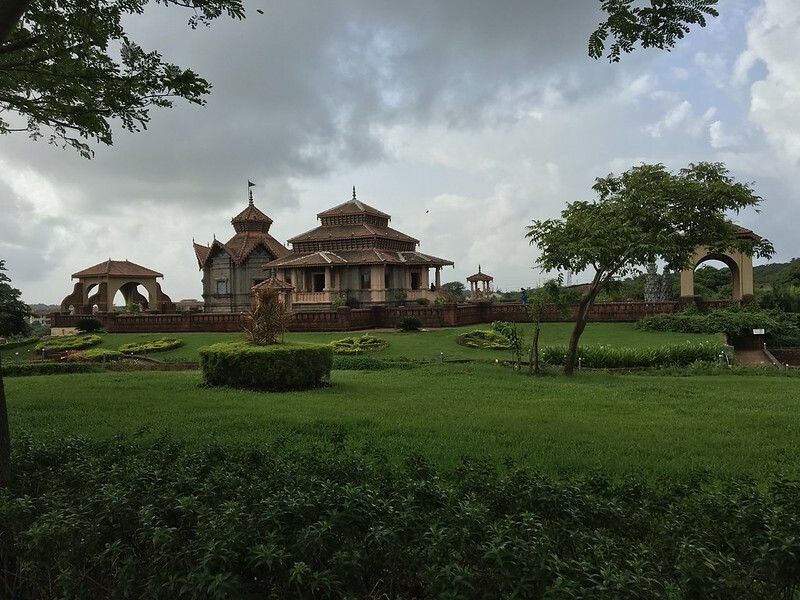 This temple is built by JSW Energy Ltd thus it is also known as the Jindal Ganpati among the locales. 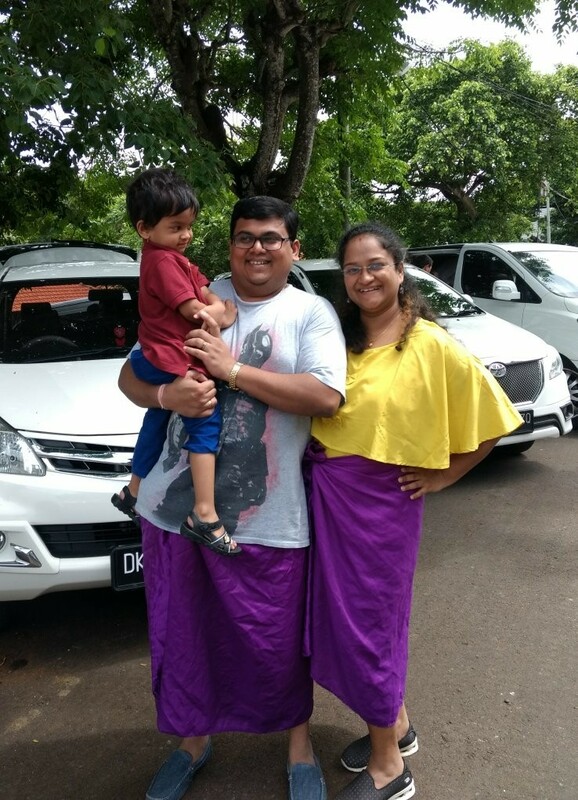 You can easily visit to this temple if you are planning to stay in or around Ganpatipule or Ratnagiri else going directly to this temple from Mumbai will be hectic and tiresome. 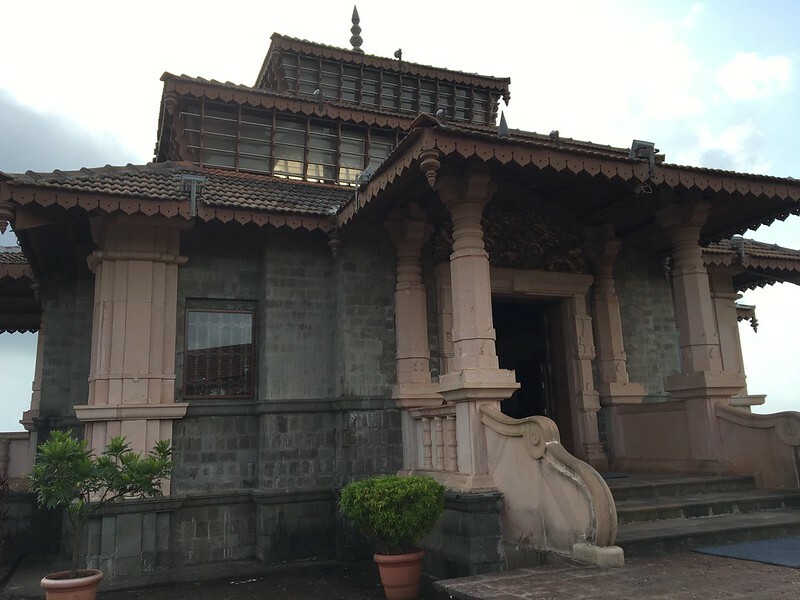 So if you are planning to visit Ratnagiri then you must take a detour at Nivli junction visit both Ganesh temples. First visit Ganpatipule Temple then via Malgund reach Jaigad to Jai Vinayak Temple and exit at the Jakadevi junction which joins the NH 66 again at Nivli junction thus completing an entire circle. State Transport buses are available from all cities to Ganpatipule and from Ganpatipule you can reach to Jaigad. 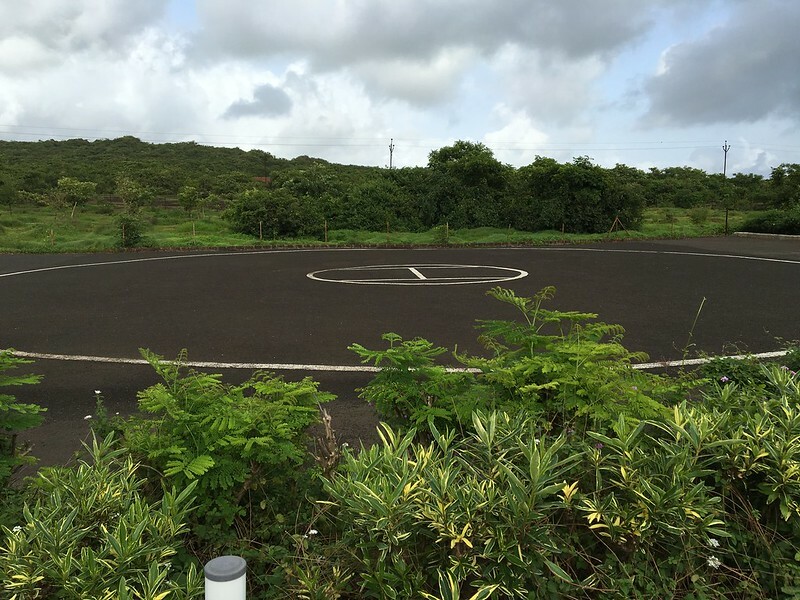 There is a Helipad constructed in the garden, you know just incase you which to land into the botanical beauty. 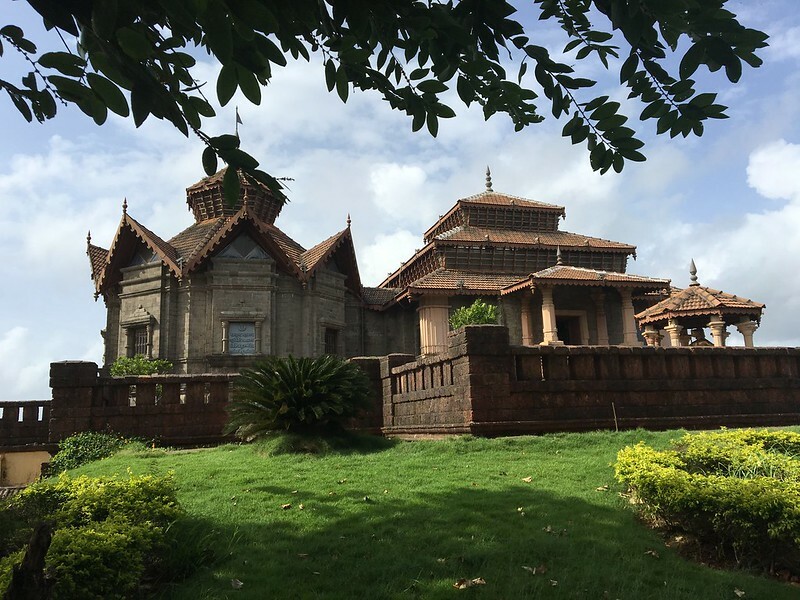 The temple glorifies the fusion of pagoda style roof and local stone architecture all around the property, Right from the entrance you will be in awe of the excellent placing of this temple. The botanical garden accentuates the stone craftsmanship and the clear blue sky just makes it a photographer's noble dream. The main Ganesh idol is made of brass and holds a very peaceful expression as if Gannu Bappa is very pleased to be in this temple. The vicinity enunciates simplicity in every corner. The huge Hanumanji and Undir Mama outside are hypnotic, you just want to stare and stare. 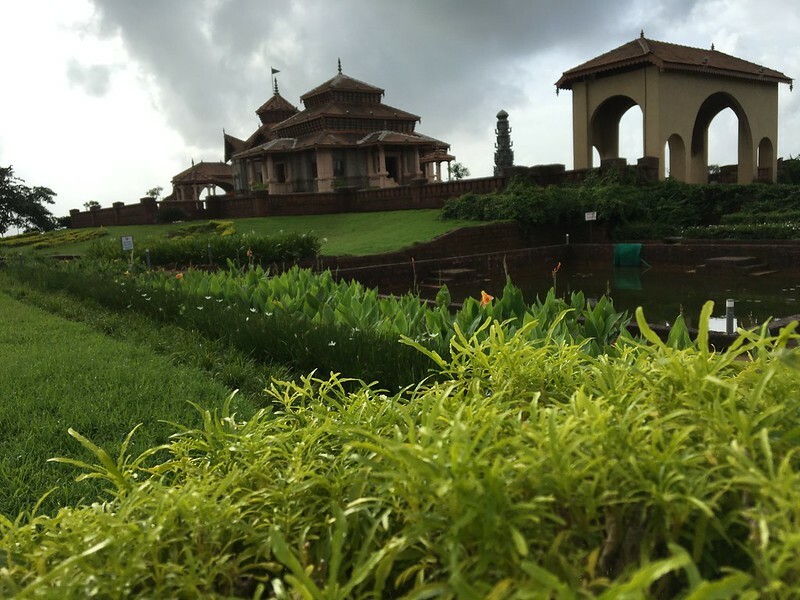 Konkan is gifted with a prosperous variety of greenery. 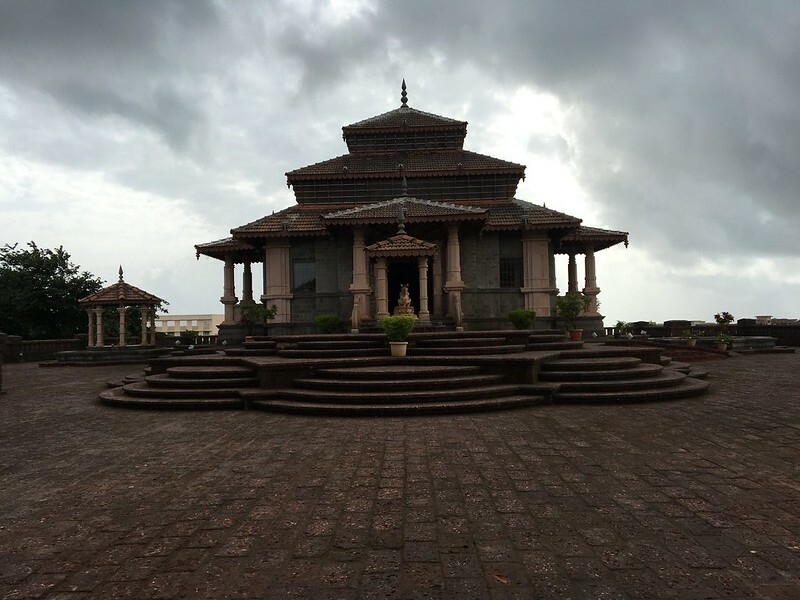 The garden created around this temple resembles the same spirit of evergreen Konkan. Lots of colorful flowers and fluttering moths impresses without fail. Also, the garden is cut out to give you a photographic angle at every turning. You must carry your dslr's along especially if you want those perfect display pictures for social media accounts. A panoramic shot is a must, why!? See below. PS: We visited this Mandir in daylight but even after dusk the place lits up with strategically placed lights and doesn't fail to astonish.